Who did we design Kuma Shake for? What's in the Kuma Shake? ​What is the ketogenic diet? What is the 4:1 Ketogenic Ratio about? ​How is Kuma a "low carb" food and why is that important? Which foods have little or no carbohydrate? What Kind of Fats does Kuma have? What are MCTs and why does Kuma have them? Why do I need ketones? ​Can Kuma be used as a meal replacement? Is Kuma compatible with Atkins? South Beach? Does Kuma give me energy? Is Kuma Kosher? Halal? Jain? How is Kuma Paleo / Primal? You say Curcumin is "anti-inflammatory;" what does that mean? Why do you add Turmeric Root Extract? Why do you add Black Pepper Extract? What is Red Palm Oil and why is it healthy? How are all eight types of Vitamin E healthy? What is Coconut Oil and why is it healthy? What is "High Oleic" Sunflower Oil and why is it healthy? Why do you add Vitamin D? Why do you add Magnesium? Why do you add Iodine? Why do you add Glycine? Why is there no protein in Kuma? Who did we design Kuma Shake™ for? We engineered The Kuma Shake for the ketogenic diet. It can be used as an on-the-go snack, a meal replacement; it can be used as part of a ketogenic diet for weight loss, for exercise performance, for bodybuilders who wish to cut. It is also a great way for vegans to incorporate more fats and get the benefits of a low-carb diet. It is non-dairy for those with lactose intolerance or allergic to milk proteins. It is gluten, nut and soy free​ for those with allergies . And it is pure Paleo for those on the ancestral diet. Kuma is not intended to diagnose, treat, cure or prevent any disease. What's in The Kuma Shake™? We've added high-oleic sunflower oil for 25g of monounsaturated fats and coconut oil for a smooth 8g of MCTs. For flavor we used fruit and vanilla extract. Then we added micronutrients such as palm fruit oil for tocotrienols / tocopherols - the vitamin E's we're all missing, turmeric root extract for curcumin, black pepper extract for piperine - allows curcumin absorption in the body, glycine, magnesium, potassium, chromium, zinc, boron, silicon, iodine and vitamin C and D all in proportion. The ketogenic diet is a diet that helps the body produce ketones (compounds synthesized by the liver in times when carbohydrates are not readily available). The ketogenic diet has been used therapeutically for different medical conditions. These statements have not been evaluated by the US Food and Drug Administration. The content of this website is not intended for the treatment or prevention of disease, nor as a substitute for medical treatment, nor as an alternative to medical advice. Use of product and recommendations is at the choice and risk of the reader. If you are on any medication, please consult with your doctor before consuming Kuma regularly. Kuma is not intended to treat, cure or prevent any disease. Pregnant or breast feeding women should consult their health care professional before consuming Kuma. We adhere to a 4:1 therapeutic ratio which means for every calorie burned by the body, 80% is fat derived and 20% is derived from sugar and protein. This also means that the Kuma Shake™ is made up of 90% of fat calories and 10% of carbohydrates/protein. For those who love chemistry: fat has about 10% of its calories stored in glycerol which is readily converted to carbohydrate in the liver. How is Kuma™ a "low carb" food and why is that important? Kuma Shake™ is "low carb" because there are 5g of net carbohydrates in each serving. Low carb diets have daily intake of less than 100g, 75g, 50g or 20g; Kuma™ is an option for each of these diets. 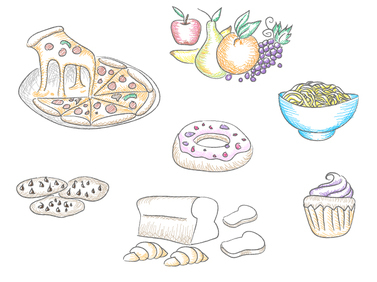 Which foods have little or no carbohydrates? Meat, poultry, fish, eggs, cheese, soy/meat substitutes, butter, oils, vegetables (spinach, lettuce, arugula, beet greens, asparagus, okra, fennel, kale, bok choy, broccoli, cauliflower, Brussel sprouts, cabbage, radicchio, onions, scallions, peppers, cucumber, celery, mushrooms, radishes, etc) and Kuma Shake™! 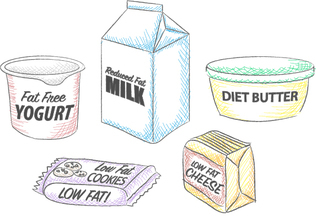 The foods below should only be eaten in very small quantities when maintaining a ketogenic diet. What kind of fats does Kuma Shake™ have? Saturated (SaFas) These fats have no double bonds. They are very stable in the body and your body readily uses them for energy. However, there is much disagreement about whether SaFas are healthy. The new school believes that they are and the old school (e.g. the American Heart Association) believes they are not. There is also some evidence they are mildly inflammatory. Monunsaturated (MuFas) These fats have a single double bond. They are very stable in the body and your body readily uses them for energy. They are the type of fats found in avocados, olives and macadamia nuts. Polyunsaturated (PuFas) These fats have two or more double bonds. They have fancy names like "omega 3" and "omega 6." PuFas are unstable and are not readily used for energy. That means they break down inside the body (oxidize) and your body needs to do damage control (one of the main reason you need anti-oxidants). Given that SaFas are controversial and PuFas are unhealthy, Kuma is designed to derive the majority of its calories from MuFas and does not contain SaFas or PuFas (there are less than 2g of PuFas in a serving of Kuma). ​What are MCTs and why does Kuma™ have them? "MCTs" are short for "medium chain triglycerides." These are fats without double bonds but are 6, 8, 10, or 12 carbon atoms in length. Yes - we recommend Kuma Shake™ to replace one meal per day (or one snack). Do not use the Kuma Shake™ for more than that. Your body needs fresh sources of high-quality protein. Breakfast - on omelette of 3-5 organic eggs cooked in grass-fed butter. Egg yolks are an essential source of Vitamin K2 and choline (which are difficult to obtain elsewhere). Pick some vegetables such as broccoli, spinach, onion, tomato, etc and pick some cheeses such as mozzarella, cheddar, ricotta, parmesan, etc. Lox or meats are a plus too. Make a new, creative omelette every day! ​Snack - Nuts, one cup plain (unsweetened) yogurt, lox, cold cuts, tehini w/ cut vegetables, avocados (and guacamole), olives (and tapenade), or coconut. Dinner - Pick a meat, poultry or fish and cook it in coconut oil, high oleic sunflower oil, light olive oil, avocado oil or butter. Pick a side of vegetables preferably green. Eat guacamole if you are still hungry. Drink unsweetened almond milk, coconut milk, half and half or water. Is Kuma Shake™ compatible with Atkins? South Beach? Whole30? Other diets? These diets are essentially low carb, so yes Kuma Shake™ is compatible with all of them. Even Atkins induction (which limits to 20g per day) allows for Kuma Shake™. High fat is the vanguard of exercise performance nutrition. We suggest you read the books by Jeff Volek especially The Art and Science of Low Carbohydrate Performance. ​Does Kuma Shake™ give me energy? Yes. Not only are monounsaturated fats the body's cleanest burning source of fuel, but the MCT's from the coconut oil provide a boost of ketones which give immediate energy. ​Is Kuma Shake™️ gluten free? Yes. Kuma Shake™️ contains no wheat, barley, spelt or any other grain products for that matter. ​Is Kuma Shake™️ dairy free? Kuma Shake™ is a dairy-free high fat ketogenic beverage. We use no dairy emulsifiers such as sodium caseinate (casein). There are no dairy sugars or proteins in Kuma Shake™. ​Is Kuma Shake™️​ really vegan? Yes. There are no meat products or dairy products whatsoever in Kuma Shake™. Is Kuma Shake™️ Kosher? Halal? Jain? Yes. All the ingredients in Kuma Shake™️ will be certified kosher (parve and on the CRC list) and by extension, halal. It is also suitable for Jains (as it is vegan and does not contain any ingredients from root vegetables). ​How is Kuma Shake™️ Paleo / Primal? Yes. All of its ingredients that provide nutrition were around in paleolithic times. A caveman could've drank Kuma Shake™️. ​You say curcumin is "anti-inflammatory;" what does that mean? Curcumin is the most powerful naturally-occurring anti-inflammatory known at present. Further, Kuma Shake™️ contains no other inflammation-causing ingredients. The fats are all inflammation-neutral. And Kuma Shake™️ does not contain carbohydrates (known to cause inflammation in our diets). ​Why do you add Turmeric Root Extract? Kuma Shake™️ contains curcumin, the active anti-inflammatory ingredient found in turmeric root. Additionally, curcumin is also a powerful anti-oxidant. ​Kuma Shake is not intended to diagnose, treat, cure or prevent any disease. ​Why do you add Black Pepper Extract? Kuma Shake™️ contains piperine (also known as bioperine), a powerful anti-oxidant derived from black pepper. Piperine has been demonstrated to increase the absorption of curcumin (see last question). Why do you add arabic gum (acacia fiber)? Acacia fiber, besides helping to give Kuma a smooth taste, is an enormous powerhouse of prebiotic and probiotic awesomeness that are "essential for strengthening the population of good bacteria in your gut." ​What is Red Palm Oil? Extra Virgin Organic Red palm oil has the undisputed highest concentration of micronutrients of any oil known to man. Kuma ​Shake™️ uses red palm oil from only verified environmentally-safe and sustainable palm fruit farms. How are all eight types of Vitamin E? Vitamin E is made up of four tocopherols (alpha, beta, gamma, delta) and four tocotrienols (alpha, beta, gamma, delta). Tocotrienols are rarely found naturally therefore it is easy to become deficient. Coconut oil is made from the flesh of coconuts. It is a singular oil in its fat profile being about 66% composed of medium chain triglycerides (mcts) which produce ketones . Additionally, coconut oil contains lauric acid which is a natural antibacterial, antiviral and antifungal. Coconut oil has also been demonstrated to reduce hunger. ​What is "High Oleic" Sunflower Oil? High oleic non-GMO sunflower oil is produced from sunflowers which are bred to produce seeds high in monounsaturated fats (85%, see discussion here) and low in saturated and polyunsaturated fats. Monunsaturated fats are the main source of calories in kuma. Sunflower seeds are highly nutritious in their own right. Their oil contains a host of vitamin E (tocopherols) and vitamin K1. Kuma Shake™️ adds 3,000 IU/d which can normally provide enough daily boost to keep Vitamin D levels high. Kuma ​Shake™️ supplements 200mg/day to put you into a healthier zone. Iodine may be the most important micronutrient that is so widely deficient. Glycine is an amino acid which comprises collagen which build bones, joints, muscles, skin. Glycine is called a "semi-essential" amino acid since your body can usually produce limited quantities but not enough to satisfy demand. We supplement a couple of grams of glycine in Kuma ​Shake™️. ​Does Kuma ​Shake™️ have antioxidants? curcumin, the active ingredient found in turmeric root which is a powerful anti-oxidant. ​Why is there no protein in Kuma ​Shake™️? You may know that there are many protein-supplement drinks on the market. So you may ask why is there no protein in Kuma Shake™️? 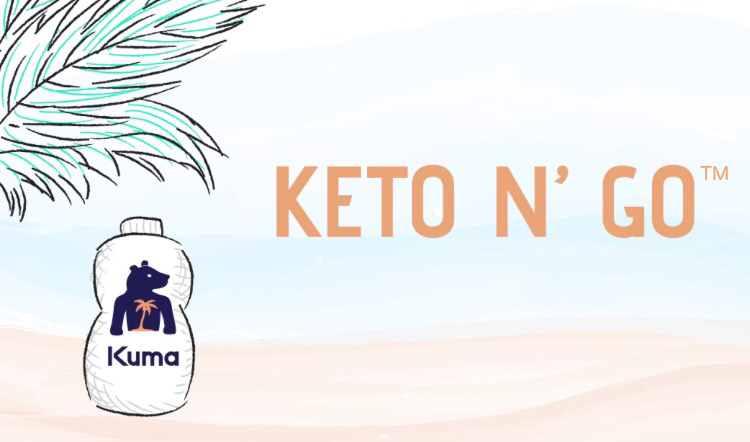 Kuma Shake™️ can be used as part of a ketogenic diet plan with fresh, fully-digestible and non-inflammatory protein sources. For vegans, you can use vegetable based protein. How is Kuma Shake™️ made? We employ an advanced homogenization protocol where the fats are also blended using state-of-the-art emulsifiers. The flavoring is natural.